The territory occupied by the Embassy is own by the represented country. Its mission is always to promote the interests of his country in the host nation, promoting friendly relations between the two countries, promote economic, cultural, scientific, etc, making state visits, both commercial and political treaties, among quite a few other functions. Report 21 with the 1961 Vienna Convention describes the inviolability of embassies as follows: The premises of the mission shall be inviolable agents in the receiving country may not enter them without having the consent from the head of the mission. The Consulate is lower grade and offices are territory from the host country; not represent the nation but are dependencies Foreign Ministry from the Government of a country. The administrative procedures that can be performed in a consular office vary between countries, so we recommend that you get in touch with the Embassies and Consulates in Jamaica and around before going to do any management. 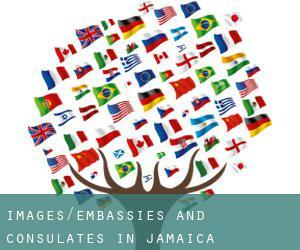 Check out the list of Consulates in Jamaica and around we've collected for you. If we had been unable to locate any of all Consulates in Jamaica will show you the closest ones. You're in luck, considering that we have located, selected and archived every Embassies and Consulates in Jamaica that exist in this area. Access to this section for a detailed listing of all Chinese consulates, embassies and representative offices located near Jamaica. ConsulBy supplies all Indian citizens with an updated and verified list of all Indian consular offices so they could get in touch with them with any unexpected situation even though in Jamaica and its surroundings. Have a look utilizing this link a collection of all US embassies and consular offices placed around Jamaica, just in case you need assistance whilst you are abroad. Check the Nigerian diplomatic mission in Jamaica, responsible for delivering assistance and support to any Nigerian person whilst they're visiting the country. Access to this section for a detailed listing of all Russian consulates, embassies and representative offices situated near Jamaica. ConsulBy gives all German citizens with an updated and verified list of all German consular offices so they can contact them with any unexpected situation while in Jamaica and its surroundings. Have a look using this link a collection of all French embassies and consular offices placed around Jamaica, just in case you'll need assistance even though you are abroad. Check the British diplomatic mission in Jamaica, responsible for delivering assistance and help to any British person while they are visiting the country. We have classified all embassies by nearest town. Offered that May Pen is one of the six largest cities of Jamaica, with approximately 44.755 inhabitants, it is likely that hosts various consulates. The embassies and consulates located in Jamaica and exist to help their compatriots to solve any problem as if they were back house. Follow the link to see all Embassy in Mandeville and its surroundings. Diplomatic missions are usually in populations with greater quantity of inhabitants. With 102.861 residents Jamaica is one of the most influential centres of population Jamaica. Problems with Jamaica authorities? Contact immediately with any from the diplomatic missions borwsed for Kingston to find the best solution with the local authorities. It is virtually impossible to visit Jamaica bypassing Spanish Town (with 145.018 inhabitants). ConsulBy currently has an extensive catalog of Embassy in Spanish Town and surroundings. One in the busiest centres of population Jamaica is, without any doubt Montego Bay with 82.867 inhabitants, making it a good candidate to host one or additional Consulate in Montego Bay. PCJ Building (PH) 36 Trafalgar Road, Kingston 10 Jamaica W.I.